ROAD TOWN, Tortola, VI - The government's financial watchdog, the office of the Auditor General (AG)—headed by Ms Sonia M. Webster—is said to be lacking in the effective execution of its duties, hence the reason for the wasteful spending of taxpayers’ monies. 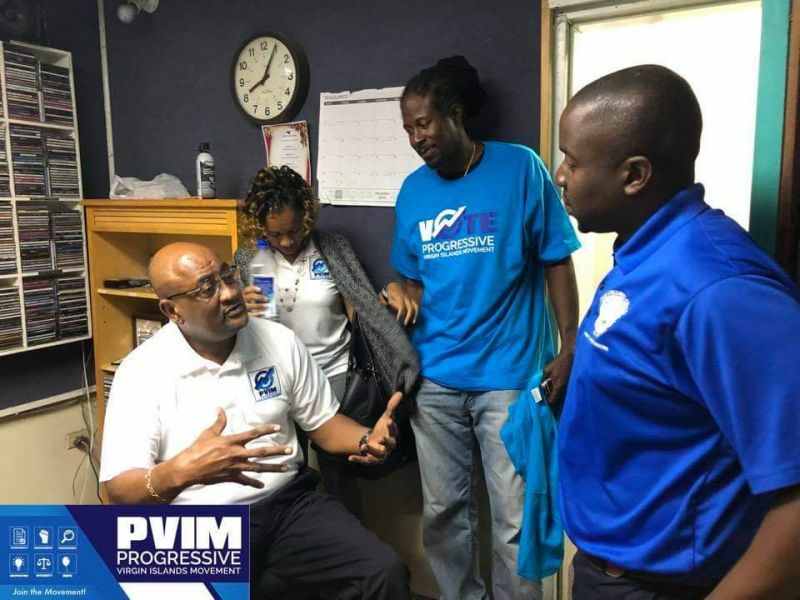 These sentiments were raised by Chairman of the Progressive Virgin Islands Movement (PVIM), Honourable Ronnie W. Skelton (AL), who pointed to the issue when PVIM's radio show ‘Solution Time’ debuted on Tuesday, December 11, 2018, on ZBVI radio. The show was moderated by Dr Michael A. Turnbull and Mr Kareem-Nelson Hull. On the programme—which had appearances by several party candidates including Shania M. Smith, Karl M. Scatliffe and former Commissioner of Custom, Wade N. Smith—Hon Skelton implied that the territory's finance is not being effectively policed due to the lack of resources, something he would 'look into' should the PVIM be elected into government in 2019. "If you want to have a transparent and democratic system where people feel their tax monies are used in the appropriate way or in the way that they intended for it to be used, then it needs a watchdog," Hon Skelton uttered. He said the watchdog for the financial systems in the territory is the AG, "I believe that the time has come for resources, additional resources to investigate and eradicate any form of corruption that happens in the government regardless of where it is." He further stated, "In my mind, it doesn’t have to be just financial and I think that's the only way we are going to bring the country back from the brink." Hon Skelton, however, revealed that financial audits done on projects under his watch, revealed that those projects were not perfect, "the Ministry I was responsible for, they were not perfect but she [AG] brought out some of the things that are happening that needs to be corrected." "If you have a leader who believes that the Auditor General or the accountant is an enemy, that's a mistake," he said. 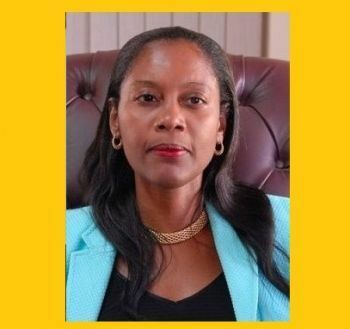 Speaking on a strategy to bring the country back from where it is currently, Hon Skelton said that the mismanagement that has happened over the years will further challenge the AG and utilise more resources. He further highlighted that there are shortfalls in the effective governing of the territory, noting that laws exist for everything but the challenge lies with the enforcement of those laws. Good idea. Soon a lot of people will realize that the leader of the country is where the power lies and who sets the agenda. A lot of Ministers want and can suggest a lot but if the leader does not see that as priority or does not support it it is going nowhere. Am I reading right? So you are telling me that the "Honourable" minister who sat in government for almost 8 eights just finally realised that the AG office is lacking and as such he will now fix the problem if his party is elected??? Come one people of the Virgin Islands what more evidence do we need to see that these jokers sat down ran the country to a wreck and all of a sudden in almost 8 years is now telling us that there are problems they will fix when they had 8 years to do so. Well if this isn't treason then nothing else is. People of the Virgin Islands please don't let these fellows tell us nothing that we didn't know about and then try to convince us to vote for them because they are now the "saviour" of the BVI. Let us asked them why did they vote for confidence in the Premier when Fahie tabled a vote of no confidence? If they sat down and watch the destruction of government with the lack of transparency and accountability and do nothing about it, but now want to make it seems as if this new party have the answers tell them they LIE!!!!!!!! Well am now leader and so am a bit smarter! Lol! No kidding no laughing! These ideas comes and goes you know. Here one day when things not so rosey gone the next when all is well. @ Wise up. What the hell are you talking about. Do you know who Sonia Webster is at all? Or that she is a Belonger if the freaking British Virgin Islands? Take several seats ex cop. At size up: Why shouldn't the post go to the most qualified person, instead of a Virgin Islander, by which you presumably mean a British Virgin Islander, since folks from the US VIs are also Virgin Islanders. IMHO an outsider might be able to do a better job since they are less likely to have conflicted interests, the root of much cronyism and corruption in these parts. Ms Webster is not a croney for no political party. She does her job with fairness and integrity regardless of who is in power!!!! This guy ran to become leader of the same govt that he is now saying is corrupt and has the country at it's brink, NPD 1 & 2 no matter how they are renamed and rebranded! You want a watch dog who is not a sell out.? Have a conversation with guy hill or Randolph Frett. Very intelligent and committed men with more integrity and guts than a lot who are in office and seeking to be in office. Hill your time has already expired. Stop!